We all know that busy women don't always have time for a weekly manicure. For those that need a manicure to last, Giabonni's Hair Salon in Groton, Connecticut is proud to introduce the Shellac Manicure System that will leave your manicure looking fresh for up to 14 days! 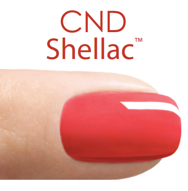 Shellac has been proven to withstand all types of chemicals, wear, and abuse without being damaged. "I had long given up on growing out my nails but due to frequent hand washings. It made my nails weak and brittle. Giabonni's Hair Salon introduced me to the Shellac Manicure System and my nails started to grow. They are strong and withstand hundreds of hand washings. The polish looks great for 2 weeks with no chipping or peeling. I'm so happy to see beautiful feminine hands again. Thank you, Giabonni's!"